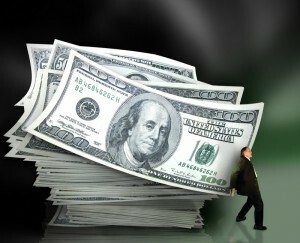 There are so many reasons people come to us seeking help with bankruptcy. Poor business decisions, divorce, loss of job or ability to work, and the excessive medical bills that can come from injury. Here at TATE BYWATER we’ve seen people interested in bankruptcy because of many, many circumstance. That’s why it’s important to keep the following in mind. It’s not always your fault – We realize not everyone who needs a bankruptcy lawyer is bad with money. While there are people who have spent themselves into oblivion, most people have been forced to visit us because of events beyond their control. Either way, we’ll help you get the benefit of bankruptcy law and help you get back on your feet. It’s a complicated process – Bankruptcy law is changing all the time. Trying to navigate it yourself can be a nearly impossible process. That’s why it’s important to enlist the help of a bankruptcy lawyer as soon as you realize that you can’t handle the process along. Every client is different – As we mentioned above, not everyone ends up needing to consult a bankruptcy attorney for the same reason. That’s why it’s important to visit a law firm that has experience across the board when it come to bankruptcy law. Whether you’re having personal or business financial issues, we know the questions to ask to tailor your bankruptcy filings specifically to you. 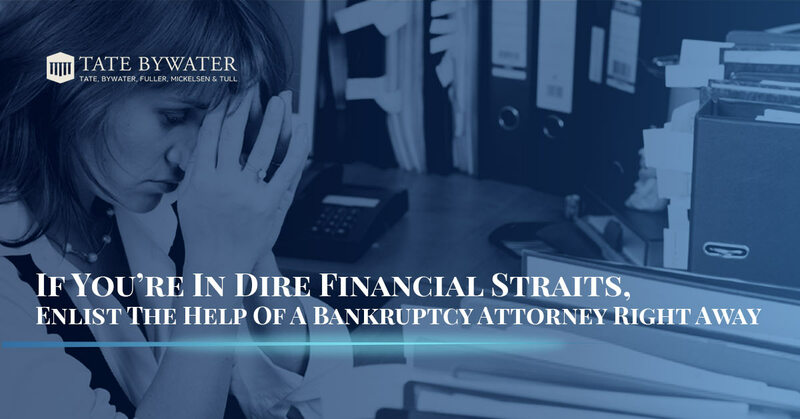 If you think you may be in need of the assistance of a bankruptcy attorney, give TATE BYWATER a call to discuss your options.